Turkey’s corrupt Islamist regime led by President Recep Tayyip Erdoğan will ultimately give way to a reactionary generation of staunch secularists, said an analysis for Georgetown University’s Berkeley Center for Religion, Peace and World Affairs. “Every action leads to some form of reaction. 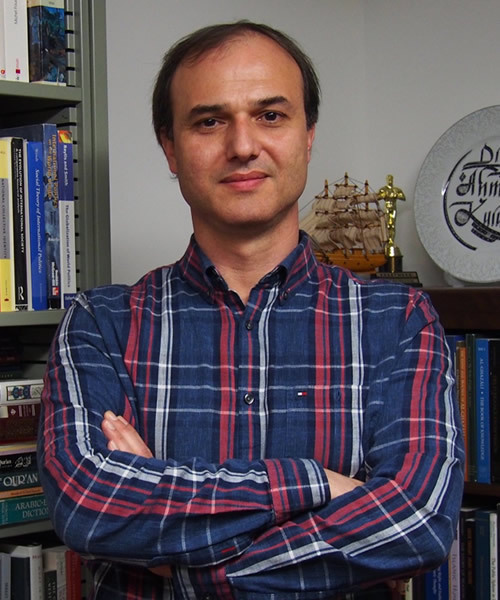 This is true regarding the relationship between religion and politics in the history of Turks,” Ahmet Kuru, political science professor at San Diego State University, wrote for the Berkeley Center on Monday. “Sultan Abdulhamid (1876-1909) combined certain Islamist policies with an authoritarian rule. His rule, however, gave birth to a staunchly secularist young elite—the Young Turks,” wrote Kuru, a former assistant director of Columbia University’s Center for the Study of Democracy, Toleration, and Religion. These Young Turks hastened the end of the Ottoman Empire and the creation of modern Turkey. Decades of secular-minded policies failed to diminish religious conservatism, however, and an Islamist generation, led by Erdoğan, rose to prominence in the 1990s. Though Erdoğan’s regime has consistently promoted Islam, in politics and education, foreign policy, society and the media, he has failed to create his longed-for “pious generation”, according to Kuru. Erdoğan’s critics have concluded that increased religiosity does not lead to greater morality, while his supporters can no longer deny Turkey’s moral crisis, according to Kuru. He wonders about the regime’s longevity, citing the high possibility of a major economic crisis and the fact that it is based on one-man rule and lacks a principled, well-defined ideology that will leave an institutional legacy after Erdoğan. Kuru sees a repeat of the post-Abdulhamid period. “I predict that the Islamist regime will create a radical reaction: a staunchly secularist new generation. Combined with the decline of piety and the lack of a consistent ruling ideology, this reactionary secularist generation will terminate the Islamist regime,” said Kuru. Turkey may end up with a secular dictatorship, or Islamists and secularists will learn from their mistakes and jointly rebuild democracy after Erdoğan. “Unfortunately, the second scenario is increasingly becoming too optimistic or even utopian,” said Kuru. In this piece, Berkley Forum contributor Ahmet Kuru predicts that ErdoÄan's Islamist regime will create a radical reaction: a staunchly secularist new generation. Combined with the decline of piety and the lack of a consistent ruling ideology, this generation will terminate the Islamist regime.